I was talking with my coworker, rejoicing that pay day was well on it’s way. I told her that I loved to log on to my online banking to plan how to allocate my money. My coworker shuddered. “I don’t “do” online banking. It’s not safe! I don’t want my banking information out there for everyone to see”. She went on to tell me about a friend’s horror story; the friend had experienced online banking fraud, whereby somebody hacked her online bank account and transferred money to their own. I was taken aback. It’s not easy to hack an online bank account if the owner of said account is smart about it. It is easier to have the bank card physically and guess the pin code, in my opinion. 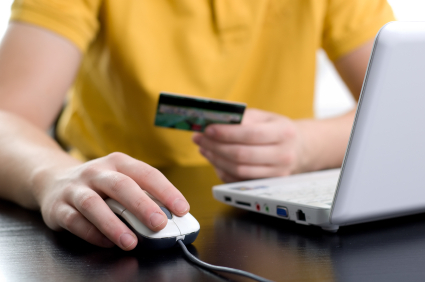 There are many things that you can do to protect your online banking endeavors. Even when you are using your own PC, log out of your accounts after using them. Usually you will automatically be logged out within 5-10 minutes of inactivity, but it’s still a good habit to get into. This should be practiced in more than just your bank account online; log out of email accounts, social media accounts, and any other activities. I actually had a friend who lost her purse. Her entire bag. Her phone was in her purse, as was her identification and some other belongings. She was panicked because on her banking app on her phone, her account number was saved. She had an easy-to-guess password. Fortunately, her bag was turned in to a lost and found and she got it back a week later, but if her bag had been stolen, it would have been easy for the thief to hack into her mobile banking app and drain her accounts. That brings me to this point. Don’t choose the last four digits of your phone number, your birth date, or anything along the lines of 1234 or 4321. Shy away from your last name and other obvious answers. When it comes to online banking, ensure that your password has a capital letter and a number. Don’t go to the library and access your online banking there, and don’t do it at work either. Do your online banking from your personal computer only. If you access your online baking information from a shared computer, you may forget to log out, or the computer may not be secure. Instead of taking your laptop to Starbucks and doing your banking there, complete it at home before you leave. This just adds an extra layer of security in case somebody is watching over your shoulder in a public place. While saving form data is nice in that you don’t have to pull out your account number or bank card every time you’d like to access your accounts, it reduces your security substantially. Keep in mind that if your account number is saved, anyone who cares to try to hack your account only has to guess your password. You’re making it easy for them. Passwords really aren’t that hard to guess for most people, so to add an extra layer of protection, don’t save your information. Protecting yourself online is important no matter what you are doing, but it is even more so when we’re looking at online banking. There is fraudulent activity everywhere, and the openness of the internet makes it substantially easier for information thieves to access personal information and accounts. Follow these steps to be ultra secure in your online banking. These are good tips. One other thing I will add is to make sure you have up to date antivirus software and malware software on your home computer. There are easy ways for others to use your computer to do malicious things. I never save my banking information in my phone or even on my home computer. That is just asking for trouble. Having a good password is something that few people do. Length matters more than anything. A 20-letter password made up of English words is much better than an 8-digit password that’s randomly generated. True! One of the drawbacks of using smart phones is that the apps tend to store logins and passwords to make it easy for us to access them, so all hell will break lose in case your mobile phone gets stolen. The one of the first thing to do when this happens is to log in to your account from your home computer and change the passwords that way anyone who has access to them through your phone will not be able to do any transactions. And, also never store any banking information on your phone. Saving your banking info on your phone is a no no no. You may lost it so easily and anyone can borrow it. It would be also ideal to change your password once every 2 or 3 months. I always use online banking and the one thing I make sure I do is log-out. SO many people forget to log out of any accounts they log into and anyone can easily access it especially if they have access to the computer you were using. Great tips. We have a decent virus program but I pass on the computer saving my password for anything. I have my own laptop and that’s usually the only thing I would even think of doing any banking on. In the off chance I know I will need to print something off I can use hubby’s big desk top beast. For most of my passwords I use something that makes sense only to some one that knows me very well. Other things I have had my sons set things up for me including passwords. The older boy set up the laptop and is executor for the unit. Means I have to go get him for any new programs or updates but I can live with that. PINs I can have fun with…. Including the grandson I have 6 birthdates to choice from in any order I care to use, that covers a lot of numbers!!! Lets see do I use the month, date or year? Oldest to youngest? Just the kids? Backwards or forwards? Plus I make sure my hand is covered when I punch it in…. Access from home only seems to be key. Many work/public computer can easily be equipped with keystroke loggers. Really wonderful tips on secured online banking here! It is surprising to see how people from sometime had gathered how easy is it to access their online banking accounts. Good to know that there are certain restrictions there as well! “Use Only Your Personal Computer” this is a key! Everyone should also think about good antivirus, other tips are a little bit less important.